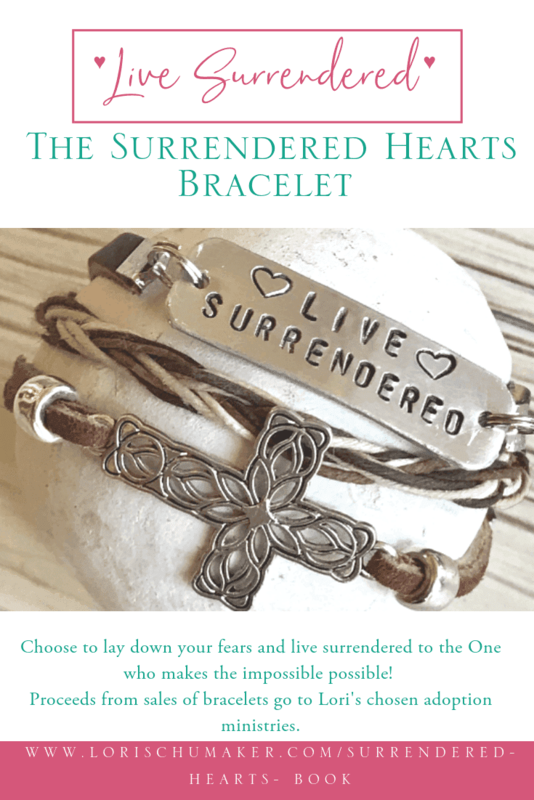 Today I welcome Nicole Kauffman of CourageHopeLove to the blog. I remember when I first read her blog, I was drawn in by the clarity in which she writes of the hope we find in Christ. As I dug in a little deeper, I realized she and I both have a heart for women searching for something in this world to anchor them. Something or someone to tell them who they are, or Whose they are. We’ve been messaging for quite a while about this post. Our schedules didn’t always line up quite the same. But I am so thankful she was patient with me because, friends, I know these words will encourage you to walk away from a broken past and fight for the truth of who you are as a child of God! I have a laundry list of brokenness in my past. A list that I struggle to surrender. A list that I constantly check. When I don’t measure up, my thoughts instantly drift to the parts of my past that tear at my soul. With each failure, my list grows. I fear my shortcomings define me. I dread they measure my worth. There have been times these pains have grown so big I feared finding my way again was impossible. I saw myself as broken, guilty and worthless. On my darkest nights, these identities would cover me and leave me hopeless. I spent a year and a half walking in these false truths, allowing them to dictate my mind and my heart. I found myself fighting on the wrong side of the battle. Reading Scriptures about who God says I am, I’d slam my Bible shut in shame. Standing silently as praise songs rang out around me on Sunday mornings, feelings of betrayal and loneliness overcame me. The Lord may love them, I thought, but clearly I’m different. My story is worse. My past is uglier. Until one day as I drove home from work, something hit me. I had been staying with a couple from my church for the summer. They had opened their home, their hearts and their fridge to me. They spent time with me, talking, running, laughing, but most of all, loving. The love this couple showed to me made it impossible for me to believe God didn’t love me. The time I’d spent dwelling in my pain and believing the lies about who I am was the very problem. I needed to stand up. I needed to fight. I realized my worth was not dependent on my past nor on what I could do. Rather, secure and steadfast it is based on what Christ already did. We are all fighting this battle against the enemy. Maybe you also have a difficult past you struggle to surrender. Or maybe it’s something else getting you hung-up and hopeless. I want to encourage you today to stand in the identity you have in Christ Jesus. I walked a broken path. My heart weighed down in shame for most of my life. But the Lord has taught me something can i buy nolvadex over the counter new. Out of my brokenness, He has brought forth beauty. Instead of asking God to take away my suffering, I asked Him to use it for His glory. I no longer ran from my past, I turned and faced it. Instead of allowing satan’s lies to dictate my view of myself, I began to rest in God’s view of me. I sought out what it truly meant to be a child of the Almighty God. I asked God to reveal my twisted view of myself. And He did. And He still is. This process of redemption and this journey of sanctification is ongoing for all of us. We are slowly shedding the layers of pain and shame. We are walking from our darkness into the light of Christ. The only way that I am able to do this is in the grace of God. It is His strength that gives me courage to face my brokenness. It is His love that fills me with hope and security as I grasp my new identity. I spent time memorizing Scripture to combat the lies so deeply entangled in my mind. Often, I wrote prayers crying out in my darkest moments when words wouldn’t come. And ultimately, I opened my heart in vulnerability to others and in doing so found tremendous freedom and healing. The Lord wants to bring us to a place of freedom and joy. He wants our hearts to be at rest in our salvation in Him. His love is greater than anything in our past. His love is greater than any shortcoming of our future. In every moment, we must choose to proclaim our identity in Him. And in doing this, we stand up and fight to live in the victory Christ has already won for you and for me. Nicole Kauffman is a wife, blogger and passionate follower of Christ. Her blog, Courage. Hope. Love, was founded to encourage, inspire and guide Christians to deeper hope and joy in the Lord. Nicole lives in Pennsylvania with her amazing, God-seeking husband and family. 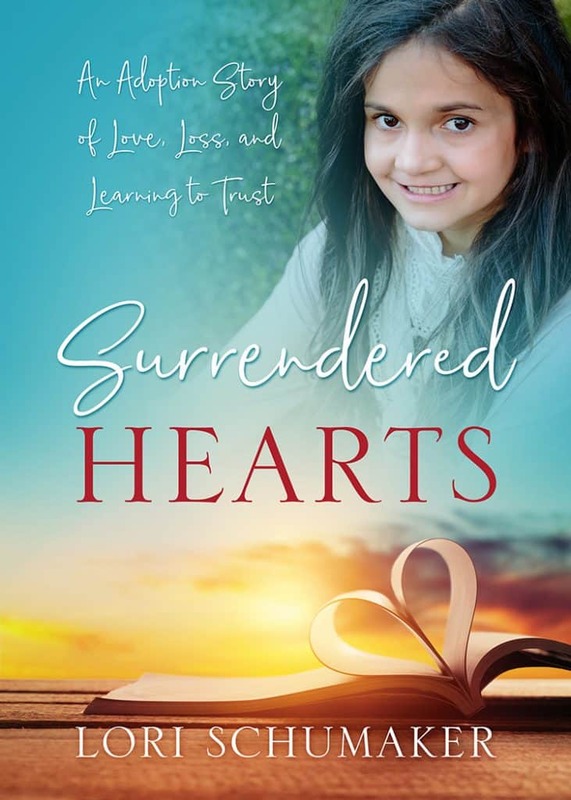 She is an aspiring author who loves to grow relationships, mentor, and explore the beauty of God’s creation all around. You can follow her on Facebook, Pinterest, and Twitter. Could you use more tools and resources to help you embrace a healthy identity? When you subscribe, you will get exactly that. Not only will you find all of the #ChosenandWorthy posts in one place ( HERE ). But you will get all my educational and inspirational materials found in the Library of Hope! This way each upcoming #ChosenandWorthy post will be delivered right to your inbox, as well! A constant reminder to hold onto truth as you head out into your days. I’d love to have you join me! And if you do, make sure to drop me an email and introduce yourself! I’d love to get to know you and be given the honor of praying for and alongside you! Just sign up using the below option! Looking for more Christian encouragement? These are the places I choose to link up and share! Broken past can literally drown a person in sorrow and heartaches. My broken past seems to find a way to break me down once in a while until I stand up and face it. Reading out scriptures and spending time before the Lord can be such a balm to our brokenness. I love how Nicole mentions that memorizing Scriptures helped her combat the lies. Jesus took our brokenness and called us CHOSEN and WORTHY. Blessings to you both,Nicole and Lori. We’re so blessed that the Lord is a balm for our brokenness! How He loves us! Thank you! Beautiful post! So much encouragement here, Nicole! We can use our brokenness for His glory! Please do not feel obligated to do a thing. You are a great writer and encourager for me and I thought it would be a fantastic opportunity to let others know about your website. Julie, yes, God is so good to use our good moments and our broken areas as well, for His glory! I appreciate you sharing to let others know about the blog! Thank you! Beautiful words and a powerful message. I am learning to change negative self-talk into Truth: I am a beloved daughter of the King of kings. Yes, it’s so important to find the truth and to let it sink into our hearts! Thanks for being here this week! Truth over lies. Truth over lies. We have to keep telling ourselves this! Until we let God’s truth become the banner over us, we’ll always be susceptible to the enemy’s harassment. Thanks for sharing your story! Such encouragement! Thank you, Karen. Yes, I agree – constantly filling our hearts with God’s truth! Thank you, Brenda. I agree – what a strong testimony she is sharing! Blessings! Thanks for letting us see how beautifully God has worked in You! #ChosenandWorthy is a beautiful Title and that’s what you truly are! God sure seems to be connecting us this week. I ended up reading this post because I had already commented on the post you put up on #Coffeeforyouheart (I was your neighbor) and thought it’s only fair if I comment on at least one of your posts! I’m so glad it was this one. I’m praying that He continues to heal your heart and expand the reach of your reading to bless others. Praying you both have a blessed day! What beautiful words for Nicole, Sherry, yes. Her story can have a tremendous impact! Thank you for your encouragement for both of us. I echo your prayer – yes and amen! Beautifully said, Lori! I used to let negative self-talk rule my life. Now I let God’s WORD rule my mind and life! It can be tough to make that transition, can’t it? I’m thankful for God’s grace that makes the way for us!